Penny is a silver/grey style with dark golden brown roots. Parted in the middle with a realistic skin top, Penny is finished in loose curls that fall past the shoulders, perfect for regular wear without being too long to manage. The brown tones in the roots give a more natural shadow root effect. This wig was my first one and it is very soft and full. My mistake was that I assumed it was a lacefront because it doesn’t have a fringe, but that is not the case. In he beginning I struggled to make wigs look natural, so I ended up wearing this one with a beanie. I love that look. Since then, however, I’ve gained some experience and found that this one can easily be worn with or without headgear and still look natural, as long as the hairline is masked! 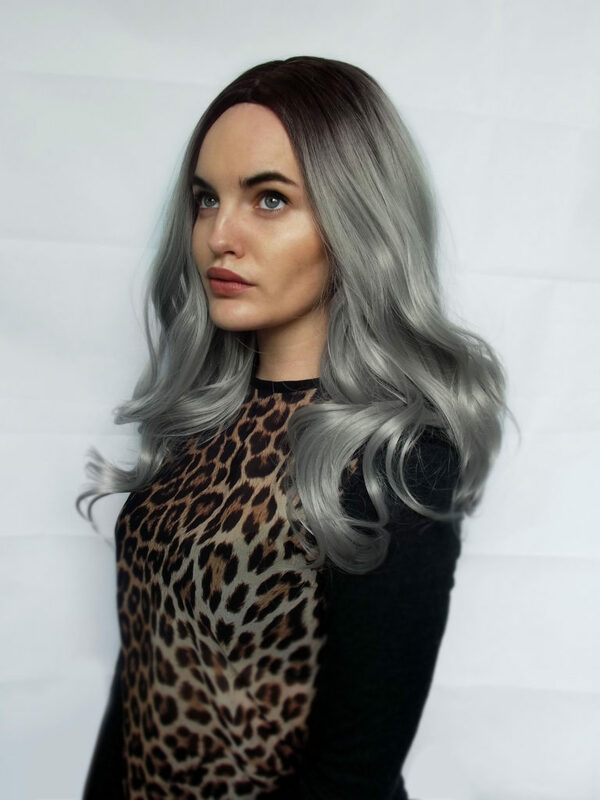 5 out of 5	Gorgeous wig! This wig is lovely and extremely silky. I was impressed with the quality. It does shed a little, but if you’re gentle as with all wigs, it’s fine. There’s a lot of hair, it’s very dense. Love it!